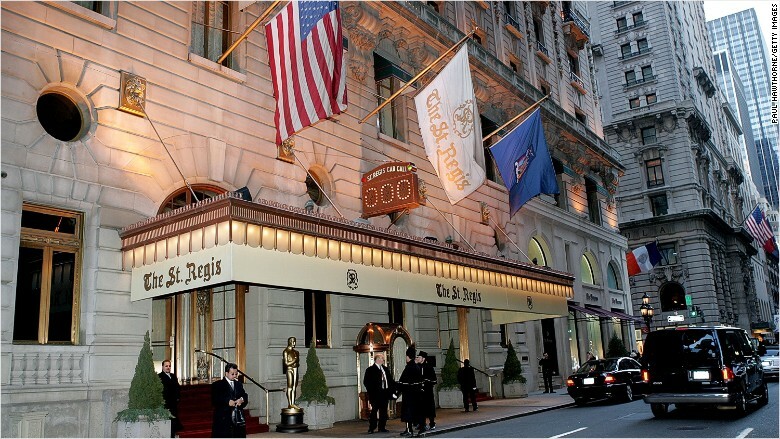 10 most expensive city hotels in the U.S. 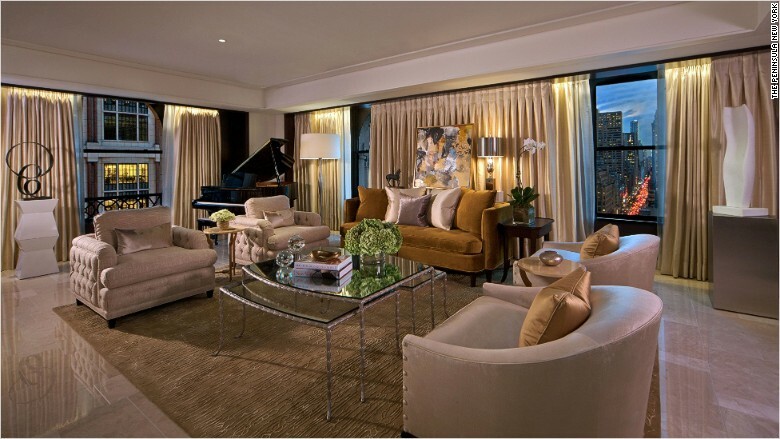 The Mandarin Oriental in New York took the top spot as the most expensive city hotel. 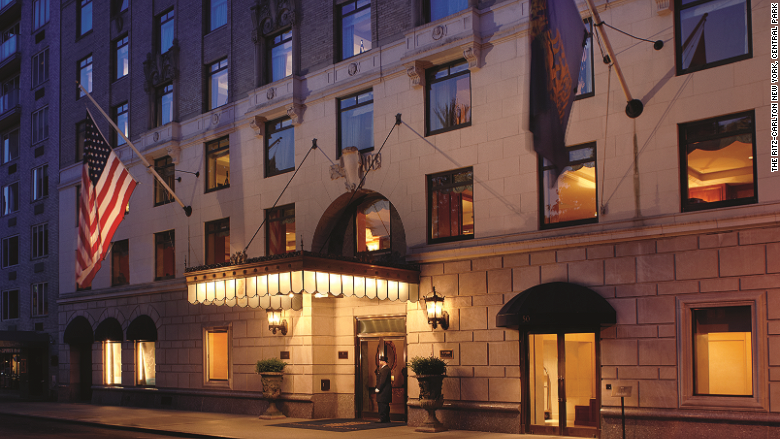 The cheapest stay at the most luxurious hotels in Manhattan will still set you back nearly $1,000 a night. New York City's Mandarin Oriental and The Ritz-Carlton Central Park are the most expensive city hotels in the U.S., according to a recent report from Luxury-Hotels.com. While the Big Apple certainly dominated the list, increasing competition could impact rates. "More and more luxury hotels are being built in Manhattan...and there are more luxury Airbnb flats and that puts pressure on the luxury market," said Daniel Derger, who oversaw the survey. 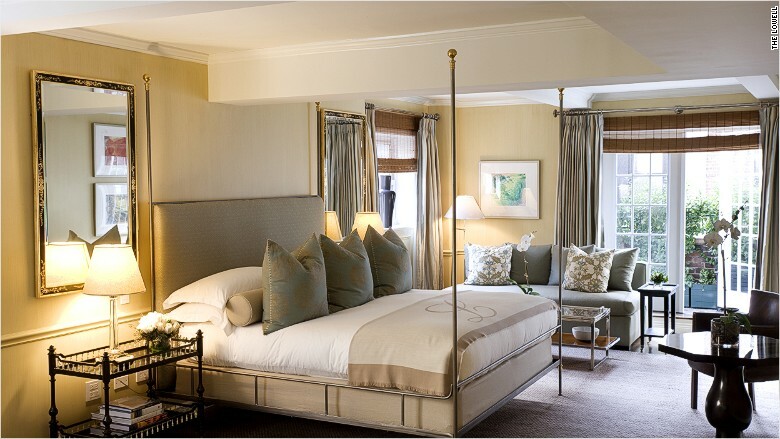 For the survey, Luxury-Hotels analyzed rates for a double room for a one or two-day stay in October in cities with more than 500,000 people. Mondays and Tuesdays were excluded from bookings. October tends to be the most expensive month for luxury hotel bookings, thanks in part to heavy business travel, according to Derger. 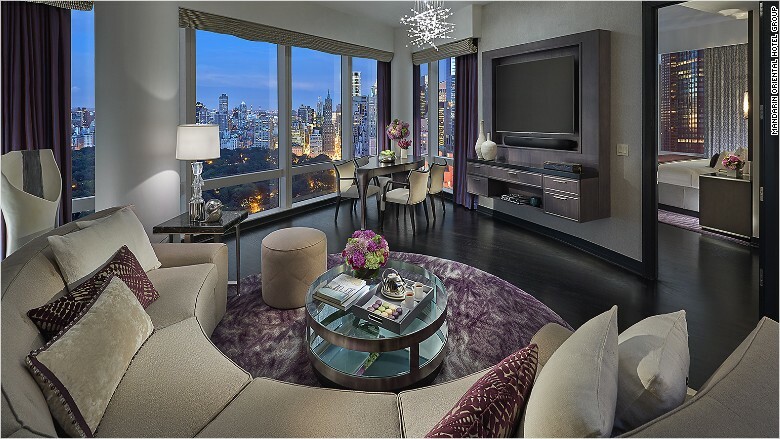 The five-star hotel has 198 rooms and 46 suits with the largest suite coming in at 2,640 square feet. For guests looking to eat breakfast before they head out for the day have plenty of options at the hotel's restaurant, including $15 grapefruit segments and $21 French toast. Guests of the Ritz Carlton looking to wind down after a busy day can partake in the Star Lounge's Afternoon Tea for $65 or sip a $20 cocktail. No need to hail a taxi while staying at the Baccarat. The midtown hotel has a chauffeured vintage CitroënDS that takes guests around town (as long as they stay within 15 blocks of the hotel). The St. Regis offers guests a free garment pressing when they arrive and fresh fruit or candy are delivered to their room every day. The Plaza's Legacy Suite Experience, which starts at $1,745 a night, offers guests various perks including private airport pick up and drop off, a dedicated reservations line and personalized stationary and business cards to use during their stay. And here's how serious the hotel takes guests' privacy: It doesn't allow flash or professional photography in the lobby. Guests staying in a suite at The Peninsula can take advantage of a free three-hour chauffeured MINI Cooper S Clubmans to see the city. And for guests looking for more wiggle room, the hotel is unveiling a 2,500 square foot suit this fall. Guests at this Midtown hotel that sits across the street from Carnegie Hall can head to the 25th floor for some relaxation at the spa where the 90-minute massage costs $299. 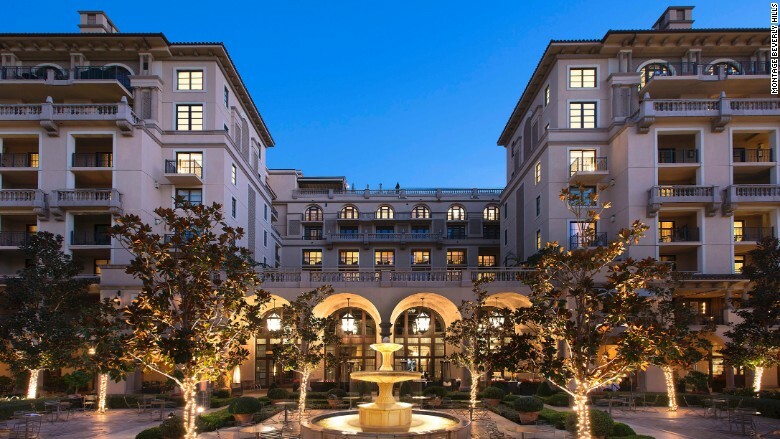 This hotel, located in the Golden Triangle in Beverly Hills, has two restaurants and a 20,000-square-foot spa on site. But if you prefer to stay in your room for the night, there are plenty of room service options, including an $18 breakfast sandwich or a $22 Caesar salad. SKYLOFTs has two different types of butlers on staff to help guests find inner peace in Sin City. Dream Butlers help bring a good's night's sleep, while Spa Butlers work to create a serene environment through different services, including color therapy. Located on Madison Avenue, the Lowell is a little smaller than its competition with 74 rooms, but the rooms come with wood-burning fireplaces and fully-equipped kitchens.